It was 151 years ago today that President Lincoln delivered the one of the two greatest speeches in our country’s history. That speech is as inspiring today as it was the day he gave it. One could say that it defined the man. Few would argue that the man redefined the country. There is a lot to learn from Lincoln’s Gettysburg Address apart from the political and social lessons. I’ll note a few of the lessons for speech writers here. Most of us can quote the first sentence of the speech. If you are like me, you owe that to a teacher who drilled it into your head. It’s far from the best line of the speech, though. In fact, it’s the worst. The Hemingway App I wrote about in my last post says that sentence is the hardest to read in the entire text. If you run that sentence through my Clarity Tool, it scores a 41. That’s bad. That one long sentence is more than 10 percent of the entire speech, yet the score for the whole speech is a 66. You want your speech to top 60, so a 66 is a good score. I believe that Lincoln’s use of simple language after that first sentence is a key reason the speech endures to this day as a great one. 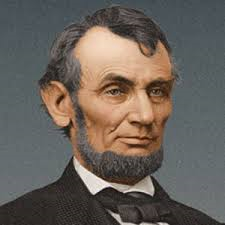 Lincoln relied largely on one-syllable words. In fact, about 3 of every 4 words have just one syllable. If you use mostly one-syllable words, you can scatter bigger words throughout without hurting the flow. This lesson might be the most important one for those who write speeches. It is the one-syllable words that make the speech sing in the ears of the audience. The speech includes at least 2 easy-to-quote-and-recall lines. Here they are: “The world will little note, nor long remember, what we say here, but it can never forget what they did here.” And, “That we here highly resolve that the dead shall not have died in vain.” Take a look at the syllables per word in each line: 1 1 1 2 1, 1 1 3, 1 1 1 1 , 1 1 1 2 2 1 1 1 1. And, 1 1 1 2 2 1 1 1 1 1 1 1 1 1. In fact, a core value the speech promotes is “the dead shall not have died in vain.” That phrase is all 1’s. When you write a speech, there must be lines like these in the speech if you hope to inspire. In today’s world, these simple lines are what will get tweeted. And retweeted. Only 2 adverbs in the entire speech. I might have cut both when revising. Lincoln kept it short. The entire speech was about 270 words. Less than 4 minutes. (The other speaker that day went on for 2 hours!) Short speeches disappoint few people. Short speeches also help you focus. I’m not saying give 4 minute speeches. Just don’t drone on because you can. Now we are engaged in a great civil war, testing whether that nation, or any nation so conceived and so dedicated, can long endure. We are met on a general battle-field of that war; we are met to dedicate a portion of it as the final resting place of those who here gave their lives that that nation might live. It is altogether fitting and proper that we should do this. But in a larger sense we cannot dedicate, we cannot consecrate, we cannot hallow this ground. The brave men, living and dead, who struggled here, have consecrated it far above our poor power to add or detract. The world will little note, nor long remember, what we say here, but it can never forget what they did here. It is for us, the living, rather to be dedicated here to the unfinished work that they have thus far so nobly carried on. It is rather for us here to be here dedicated to the great task remaining before us, that from these honored dead we take increased devotion to that cause for which they here gave the last full measure of devotion. That we here highly resolve that the dead shall not have died in vain. That the nation shall, under God, have a new birth of freedom, and that the Government of the people, by the people and for the people, shall not perish from the earth.